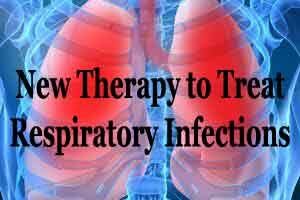 A new therapy that helps in quick healing of colds, bronchitis and several forms of respiratory allergies has been launched. In the salt room therapy (SRT), patients are asked to relax in a room with walls thickly lined with salt. Light air is continuously blown into the room, helping the minute salt particles mix in the air which is breathed by the patient. According to doctors, the salt particles after reaching the nose and the respiratory tract remove all debris and bacteria. They also help in the abatement of bronchial inflammation and strengthening of the immune system that decreases allergic reaction to pollen. Among other benefits of the new therapy, already being used in western countries, are improvement of dermatological disorders such as acne, dermatitis and psoriasis, reduction in snoring and better sleep. “Salt room therapy is a drug-free treatment for asthma, chronic bronchitis, sinusitis, allergic and skin ailments. I am hopeful that this initiative will not just help people with respiratory and skin conditions but will offer them an effective drug free treatment option to fight the rising pollution all around us,” said SRT India founder Anju Chandna. The therapy is being seen as a good remedy to get rid of the respiratory infections and other health issues caused by rising air pollution in Delhi. “With the onset of winter, when respiratory problems aggravate due to smog, treatments like Salt Room Therapy, a natural form of treatment, can provide symptomatic relief to patients suffering from respiratory problems,” said Animesh Ray, consultant pulmonologist at Fortis. According to doctors, the therapy can replace the use of steroids and other costly medicines used for respiratory diseases which do not offer a complete solution.